~26″ wide by ~24″ tall. Heavy sheet steel. Edge fished with 2″ hand fold. 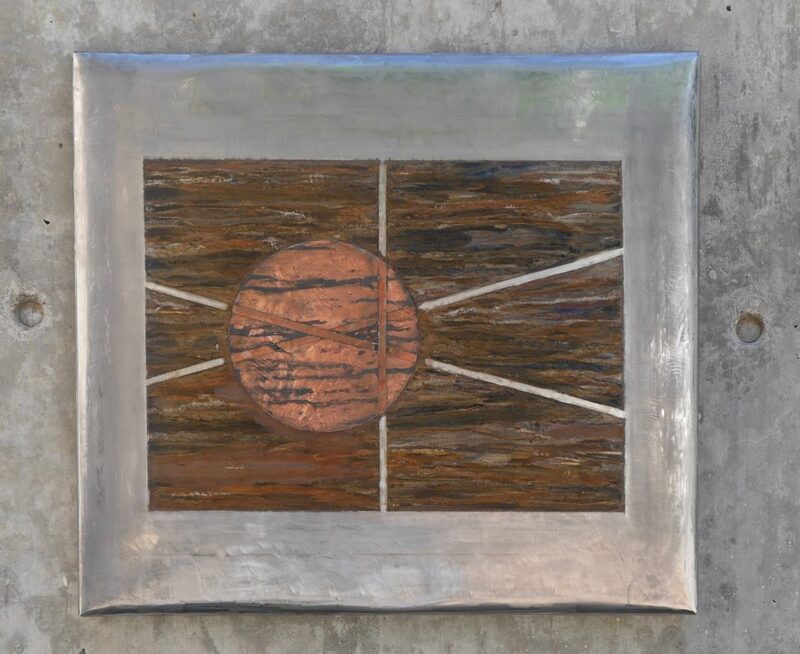 Copper (circle) with scribing and controlled rusting and patination.